hi this is the start of my layout build thread, i hope to update as i go but it will be a slow build due to two young children. i have started a new project, my large loft layout has taken a back seat. i have a old bit of wood left over from a previous base board which i decided i would build something a little different on. the board is 96 inches long by 14.5 inches wide. my vision is to produce a layout and fiddle yard in this area. but i wanted to produce something a little different from the normal. i have also set myself a goal........ to either get the layout in a magazine or to exhibit the layout, gives you some idea of the quality and detail that i am going for. if i achieve this it will amaze me!!!!. my next decision was what should i do..... well while sitting watching the D-Day special on TV it hit me, a WWII harbour. 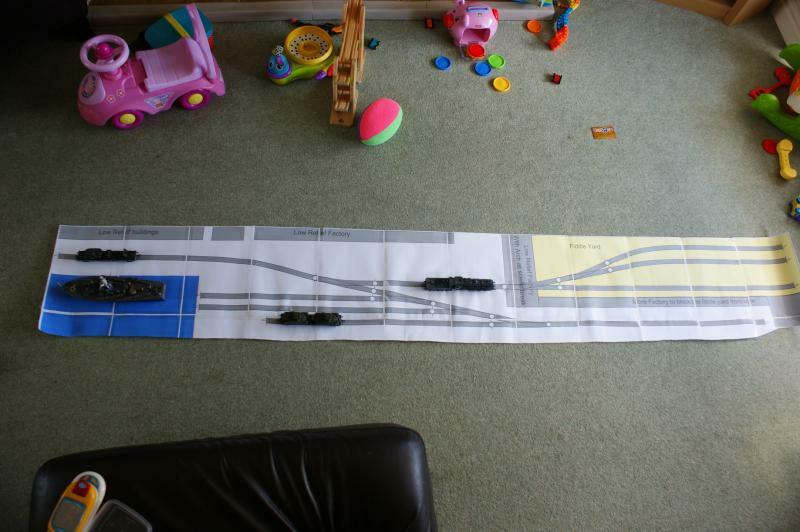 so i set about planning a layout via any rail. a few tweaks and some advice has led me to this as my layout design. 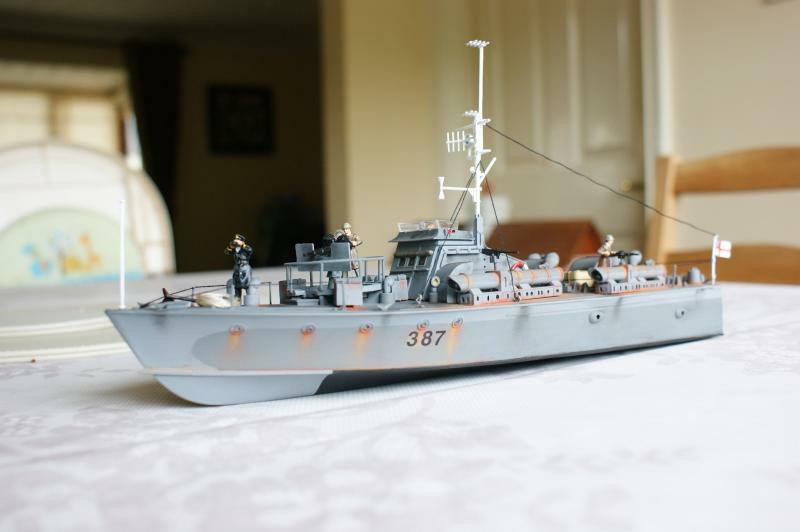 in true inpatient fashion, i purchased some airfix kits from the internet and set about building, this was so much fun and took me straight back to my childhood. i started off my converting some LMS boogie bolsters to shunt around on the layout. next up was something for the harbour, i wanted a ship and instantly started looking at battleships, these where clearly far to large. 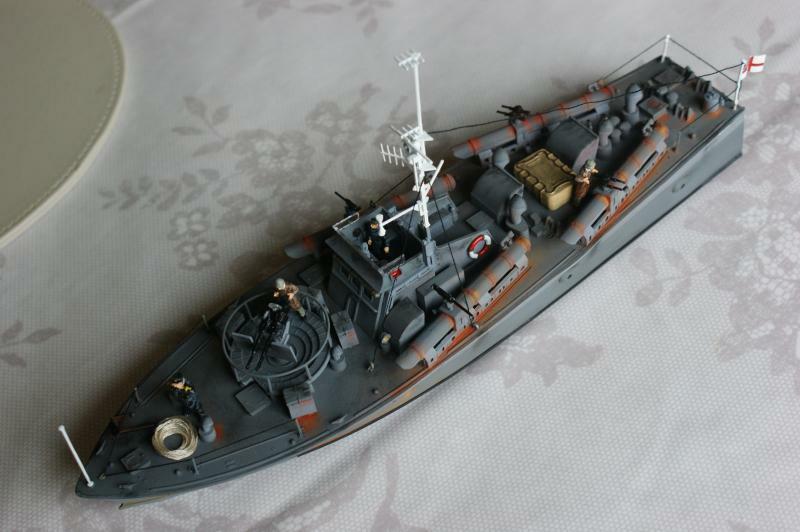 so i decided on a vosper motor torpedo boat. i really should get on with building the base board as i only have the top and i need to make the frame. 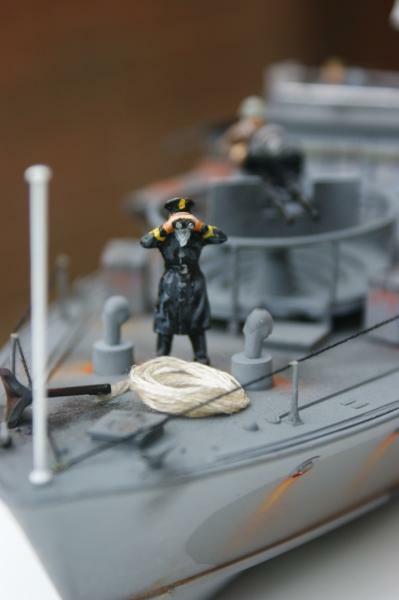 i will just add, that while trying to think of a good name for the layout, my wife came up with 'Operation Abyss' as she said it sounded sea related. i liked it so it stuck. 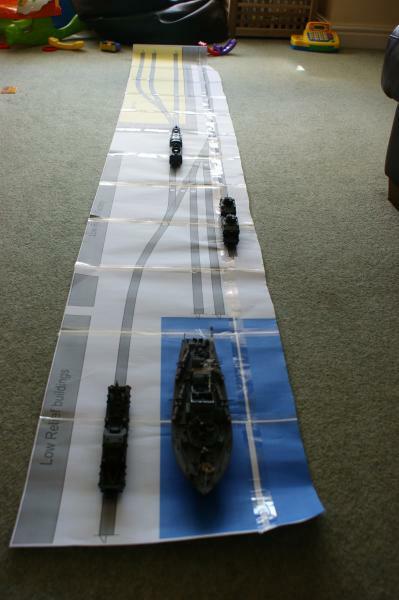 Hello Jimmy, I like the idea of the WWII harbour for the layout your starting. 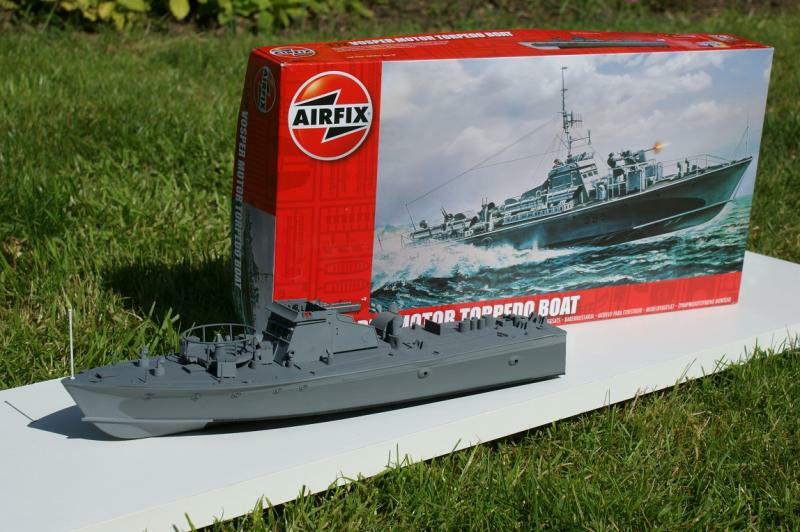 The Airfix models look pretty good too. I'm quite interested to see how this layout develops, so plenty of photo's on your progress please! What a great idea Jimmy - along the lines of "Rowlands Gill" I think. 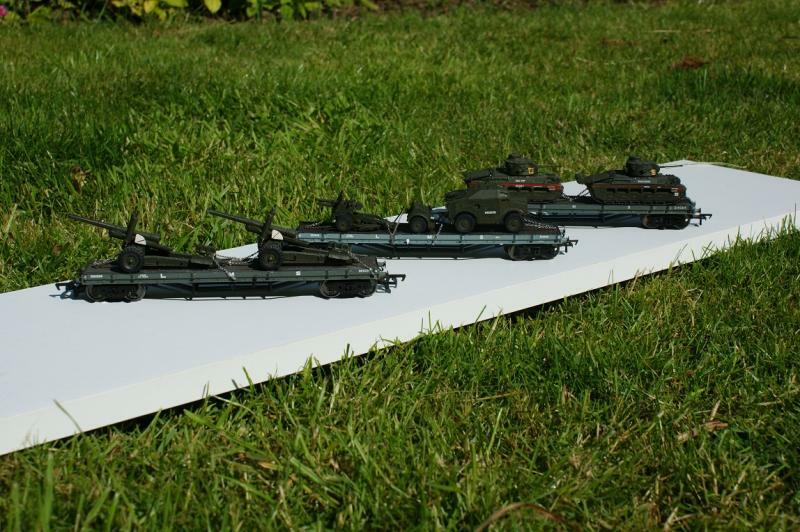 The Airfix guns and tanks look much better than my offerings as a callow youth. what a cracking radio controlled boat!!! I like that Peter,how big is it?. Spurno wrote: I like that Peter,how big is it?. It's just a tad under 5ft long Alan - 1:35 scale. My mistake was installing 4 x 540 motors with scale props. It ran like a dream and came up on the plane beautifully - for about 5 minutes then the batteries were flat ............ Using bigger (heavier) batteries, spoilt the performance because it struggled to plane with the extra weight. Modern battery and motor technology has improved so I'm toying with the idea of swapping the motors and giving it another go. Are you sure that's an MGB,it doesn't look like the one i had. What ever it is, it looks great. Very tempting, what with all the problems I'm having with my Shinohara turnouts at the moment. It's a Fairmile D Alan, the "Dog Boat". The Fairmile D was classified as either an MTB or MGB although admittedly, the "MGB" designation was superceded by "MTB"
Here's another shot of her. 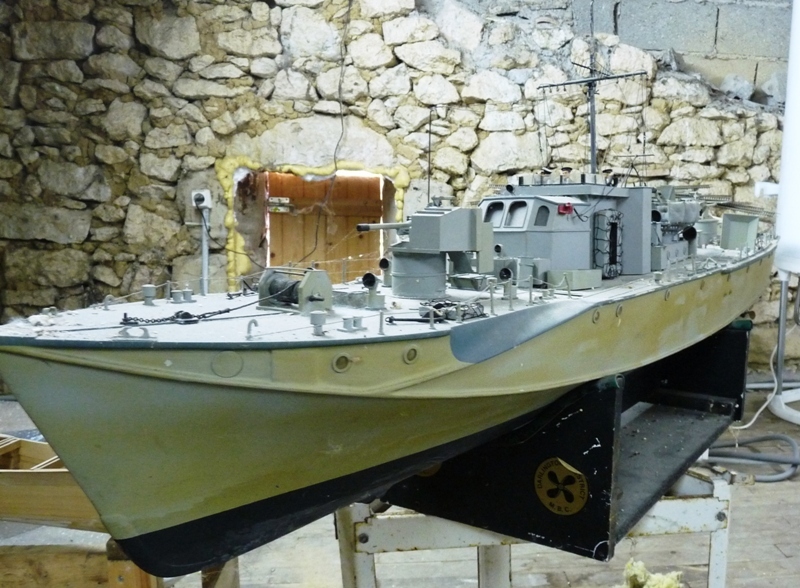 The torpedo tubes normally sit alongside the cabin midships where the 3 portholes are below the machine guns. They are in fact, the "latches" holding the removable superstructure in place. 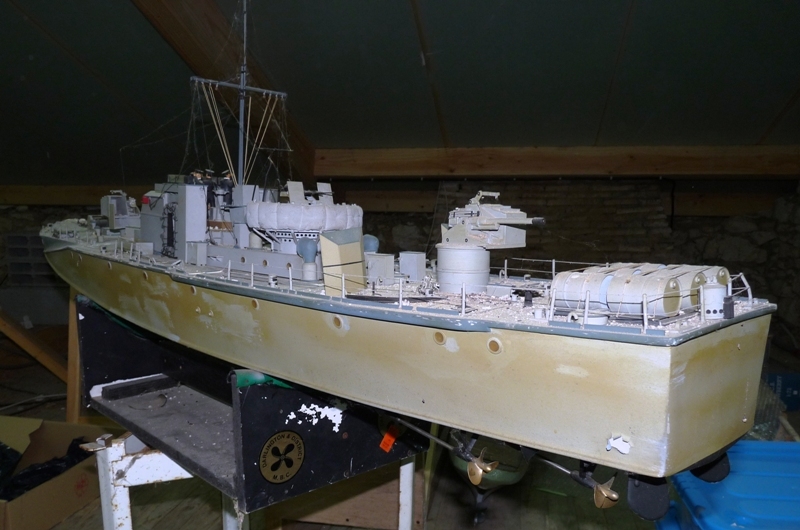 Everything between the fore and aft gun mountings lifts off to access motors/batteries and radio gear. I had intended changing the power hungry 540 motors for something a little more sensible but never got round to doing anything. The poor girl has sat in the attic untouched, for the last 15 years - and it shows !!!! MaxSouthOz wrote: What ever it is, it looks great. Reading about all the problems you've had with them, I'm amazed they're still in business. How bad does one need to be before customers say "enough is enough" .............? Well i've learnt something Peter,i never knew there were designations other than MTB.I'd love to see her on the move. Had you thought of using a sector plate as the fiddle yard Jimmy ? That way, you'd do away with the points so you could have longer roads, closer together, thus more storage. I thought about one but it's a bit of the unknown. I don't really know anything about sector plates or how they work. They're not particularly difficult Jimmy and do offer lots of advantages over points in your situation. If you do think of installing one, there'd be loads of guidance for you on here. I may have to see if I can do some research before I order all the points and start laying track. I want reliable running as aim to exhibit this. However I am always concerned by joints in track as I have never managed to get locks over the joints regularly. 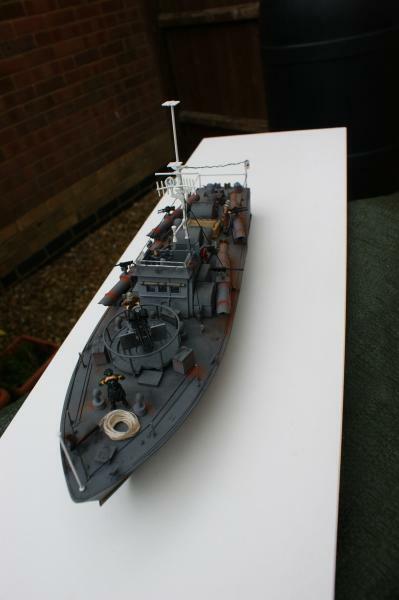 When I go to the next show I think I will tAlk to other modellers and look at their layouts. I have found a local club near me so may pop there as well. 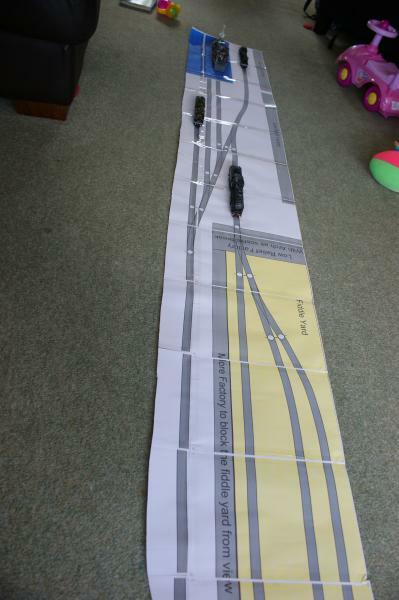 i decided to print my plan full size so i could get a idea of size, scale and if the plan will work.